The 5.375" (135mm) satin finished 52100 carbon steel blade is designed for precision cuts and utility. 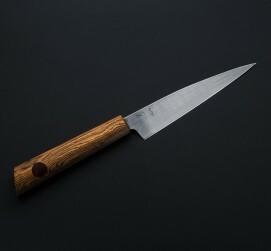 Weighing just 2.9 oz the knife is light and easy to control, with a distal taper reducing the blade width from 3mm at the heel to a fine point. The bocote wood's beautiful, contrasting grain matches perfectly with the darker cocobolo, and the handle is shaped and contoured in Don's usual pattern for a natural and incredibly comfortable grip. 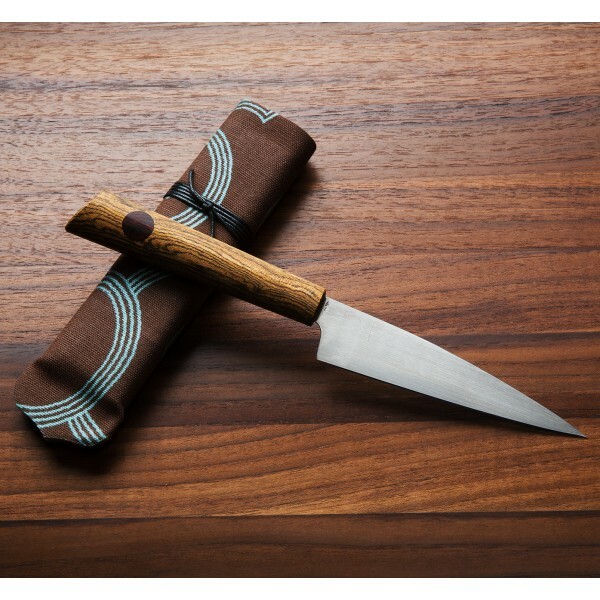 A cloth covered protective case is included with all Don Carlos Andrade knives. 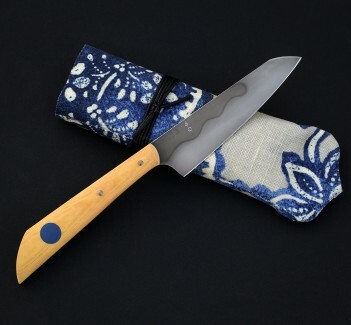 Every knife Don makes is inspired by his time in the back of the house, his drive to inspire others to cook for themselves, and his dedication to his art. Made by hand in his Los Osos, California shop, Don Carlos Andrade shapes, sharpens, and heat treats each blade with a patience and precision evident in every resulting cut. His years sculpting bronze and stone can be seen in the subtle curves and angles of his handles. 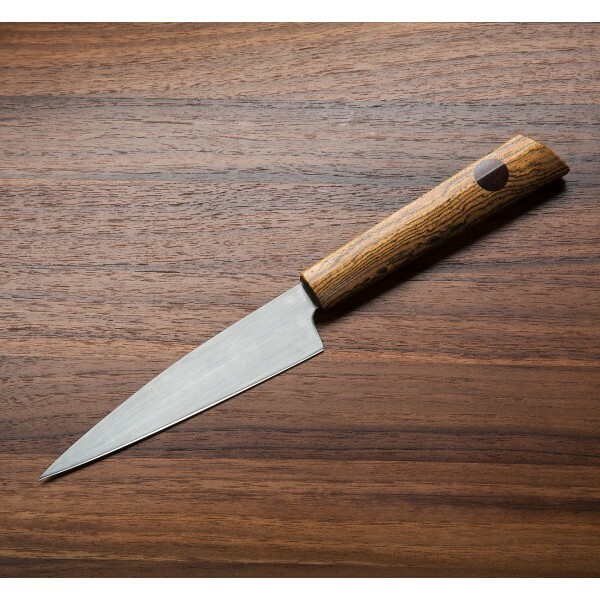 Each finished piece is an heirloom quality chef knife made to be used daily for generations.  5.375" (135 mm) blade, 11" overall. Blade width at the heel: 3mm. Blade height at heel: 30mm. Weight: 2.9 oz (82 g). 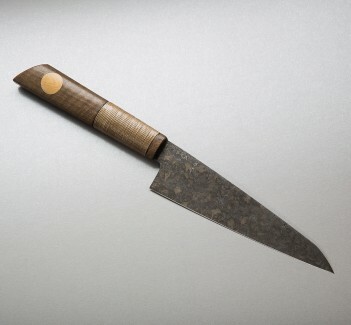 Satin finished 52100 carbon steel blade. Bocote wood handle with cocobolo inlay.